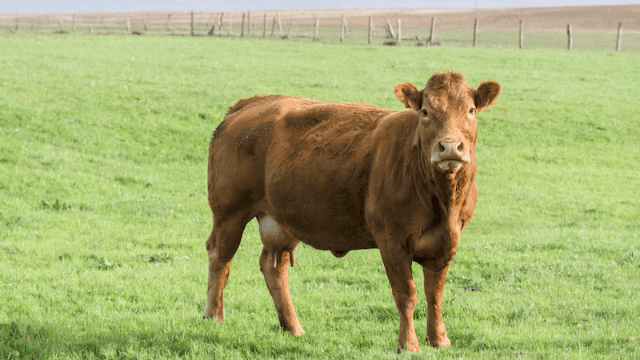 A shocking number of Americans believe that chocolate milk comes from brown cows. First things first: I'm not sure why the Innovation Center for U.S. Dairy is polling the nation about their understanding of cheese and milk products, but I guess it's just something they do. And the fact that they do this isn't nearly as weird as something they discovered in their latest survey: 7% of adult Americans believe that chocolate milk comes from brown cows. For the record, a cow's color has nothing to do with chocolate flavoring, which is added to regular ol' white milk long after it leaves the cow. But perhaps even stranger than the people who think chocolate milk comes from brown cows are the 48% of respondents who aren't sure where chocolate milk comes from. What the heck? I feel like I'm taking crazy pills. Granted, the poll only included 1,000 respondents, but if we extrapolate those numbers, it suggests that more than 17 million American grown-ups buy into the brown cow theory, while 120 million aren't even confident enough in their understanding of milk to venture a guess as to how we make chocolate milk. "Udderly" flabbergasting. Maybe I'm being too judgmental, even if I grasped the truth of chocolate milk sometime in Kindergarten. "To be fair, some milk questions and myths may make us smile," the Innovation Center wrote. "But we realize we need accurate information to make the best choices for ourselves and our families about what we eat. It’s time to set the record straight about some common misconceptions about chocolate milk." Maybe next they can tackle climate change?